This study aims to identify the common risk factors for mortality in community-dwelling older men. A prospective population-based study was conducted with a median of 6.7 years of follow-up. Participants included 1705 men aged ≥70 years at baseline (2005–2007) living in the community in Sydney, Australia. Demographic information, lifestyle factors, health status, self-reported history of diseases, physical performance measures, blood pressure, height and weight, disability (activities of daily living (ADL) and instrumental ADLs, instrumental ADLs (IADLs)), cognitive status, depressive symptoms and blood analyte measures were considered. Cox regression analyses were conducted to model predictors of mortality. During follow-up, 461 men (27 %) died. Using Cox proportional hazards model, significant predictors of mortality included in the final model (p < 0.05) were older age, body mass index < 20 kg m2, high white cell count, anaemia, low albumin, current smoking, history of cancer, history of myocardial infarction, history of congestive heart failure, depressive symptoms and ADL and IADL disability and impaired chair stands. We found that overweight and obesity and/or being a lifelong non-drinker of alcohol were protective against mortality. Compared to men with less than or equal to one risk factor, the hazard ratio in men with three risk factors was 2.5; with four risk factors, it was 4.0; with five risk factors, it was 4.9; and for six or more risk factors, it was 11.4, respectively. We have identified common risk factors that predict mortality that may be useful in making clinical decisions among older people living in the community. Our findings suggest that, in primary care, screening and management of multiple risk factors are important to consider for extending survival, rather than simply considering individual risk factors in isolation. Some of the “traditional” risk factors for mortality in a younger population, including high blood pressure, hypercholesterolaemia, overweight and obesity and diabetes, were not independent predictors of mortality in this population of older men. The CHAMP study is funded by the National Health and Medical Research Council (project grant number 301916) and the Ageing and Alzheimer’s Institute. We thank all the staff working on CHAMP and the participants in the project. 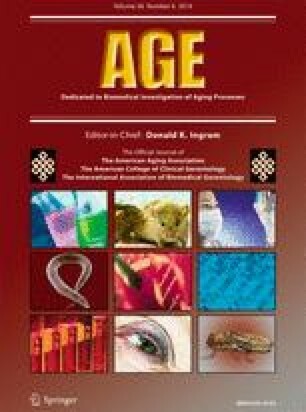 The lead author is funded by the ARC Centre of Excellence in Population Ageing Research (CEPAR). The views expressed are those of the authors, not of the funders. Data analysis and interpretation were carried out by the authors independently of the funding sources based on the available data. The corresponding author had full access to the survey data and had final responsibility for the decision to submit for publication. VH and RC designed and developed the study. VH conducted the data analyses and wrote the initial versions of the manuscript. RC edited the manuscript. All authors contributed to interpretation of the results, revised subsequent drafts, reviewed and approved the final version of the manuscript. RC and VH had full access to the data in the study and take responsibility for the integrity of the data and the accuracy of the data analysis. Heart Foundation of Australia, (National Blood Pressure and Vascular Disease Advisory Committee) (2014). Guide to management of hypertension. 2008. Updated 2010. www.heartfoundation.org.au/SiteCollectionDocuments/HypertensionGuidelines2008to2010Update.pdf. Accessed 12 Mar.